AT&T Isn't Throttling Bandwidth, Low Speeds Caused By "Unintentional Software Glitch"
Yesterday we reported on rumors that AT&T were capping iPhone 4 upload speeds in numerous cities. 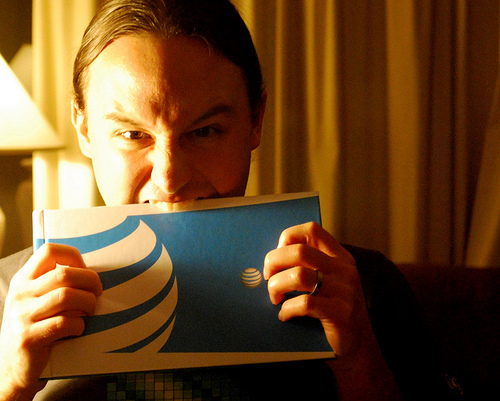 Today it appears that this was not a conscious decision on AT&T’s part, a software glitch was to blame. Many iPhone 4 owners were complaining that their upload speeds were capped at a maximum of 100Kbps, limiting their ability to share media and data captured on their new handsets. According to the source, AT&T are fixing the issue as we speak. AT&T hasn’t issued a formal response to the matter as of yet, we are guessing that disgruntled users should be able to enjoy faster uploads very soon.